Tailwind Tribes is an excellent way to get targeted website traffic. I have addressed a great deal about Tailwind here on my blog. Pinterest is my best-targeted traffic source for my blog and Tailwind is my preferred scheduling tool for Pinterest. Tailwind offers plenty of features that can assist you to promote your blog and get more targeted visitors on your blog posts. One of the newer features is Tailwind Tribes. If you are familiar with Pinterest, then you know what are Pinterest Group Boards. Tailwind Tribes are similar to them but within the Tailwind platform. Pinners can join a tribe and share pins based on a specific topic. Then, other pinners in the tribe can simply schedule those pins. It’s an excellent way to get more publicity for your pins. There`s an option on Tailwind to search for tribes within the platform. For some tribes, you need to receive an invite. Others are open for all pinners. You can also find a large list of bloggers tribes to join here: 25 + Tailwind Tribes for Bloggers. 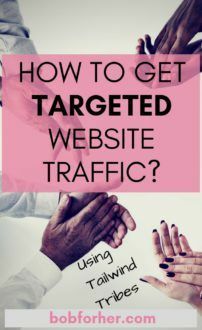 If you want to get targeted traffic to your website, you should only join Tailwind Tribes that are similar to your Pinterest boards and website niche. 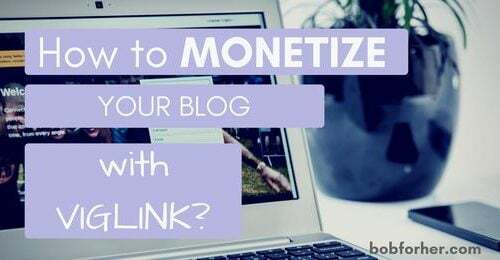 Don’t join DIY tribes if you only blog about making money! You will require to reciprocate the shares, so secure that you have boards where pins from a specific tribe will fit. As stated before, Tailwind Tribes are an extra way to get more views for your content. Most tribes are arranged on a common topic, such as fashion, travel, DIY, blogging tips, or recipes. If you don’t have numerous tribes for your niche, you can create your own! Anyone can start a Tailwind tribe and welcome others to participate. When you are in several tribes, you can simply schedule pins from them by clicking on the TRIBES option in the left menu. Here you can see all of your tribes in one place. To switch tribes, use the drop-down menu at the top. When you are inside a tribe, you can view if there are some new pins, how many pins you have added, how many other pins you have shared, and how many of your pins are shared. You can skip a pin if you have already repinned it or just don’t feel it’s a good fit for your boards. A great feature is that Tailwind also lets you see how well a tribe is doing for you. Under the tribe’s description, on the left, you can see the reshares, repins, and a total reach of the pins you have added to that tribe. When you are scheduling your own pins, you can simply add it to the tribes you are in. Just click the Add to Tribes button. This will open a pop-up menu for you to add the pin to your tribes. You can choose one or more tribes where your content will fit. With each tribe name, you will see how many pins you have added to the tribe and how many you’ve shared from the tribe. Once you are a member of some tribes, you need to know the rules of each. The rules are created by the owners of the tribe and listed in the description box. Most of owners tribes will ask that you share a pin or two for each one you add to the tribe. Follow the rules so you don’t get booted out from the tribe. So, use pins from your Tailwind Tribes to load your schedule. You don’t need to go hunting for pins related to your niche if you are a member of several tribes! 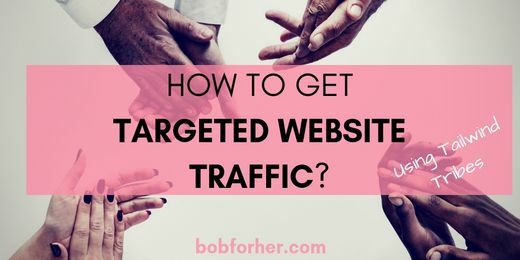 This way you will get targeted website traffic. Do you use Tailwind Tribes? How are you satisfied with? I have heard of Tailwind but never really paid attention to it! Your post was really good. Thank you. You should try Tailwind. You will see the difference in website traffic both from Instagram and Pinterest. I haven’t tried using Tailwind, but now I am curious and seems would help my website. 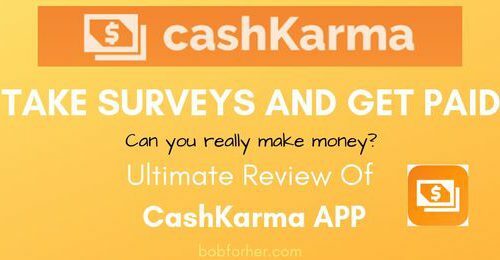 You give an awesome tips here! Thank you, Blair. You should try it. 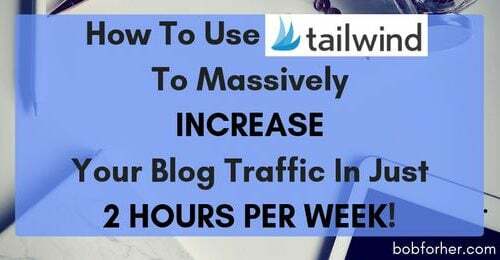 Tailwind increased my blog visitors by 30%. It`s great tool! I absolutely love Tailwind AND the Tailwind Tribes portion. It’s been so handy and I love being connected to people within my niche. I also love supporting others through it. Me too, Joanna! It`s the best tool for social networks that I find so far. Maybe, Crowdfire for Twitter can measure with Tailwind. Tailwind is something that I had been dabbling in some last year. I have definitely started using it more this year both for myself and clients. Makes things so easy! Yes, very easy. Currently, I have about 190K monthly views and almost 10,000 followers, and Pinterest is the network that grows naturally. I spend two hours weekly on scheduling my pins. Glad to learn about Tailwind and I shall give it a go, hope to gain more viewer too. Thanks for this great information. I have used Tailwind in the past and also really liked joining tribes. But, I’m never quite sure if it actually did anything for me or for my content? I stopped using it, but maybe I should give it another shot because ultimately, we all want more views. You need to give Tailwind a chance. Usually, you will get results in a month or two, so yo need to be patient. But, Tailwind is great. I got about 200K monthly views and thousands of visitors from Pinterest, just because of Tailwind.